What is a Da Form 4187? 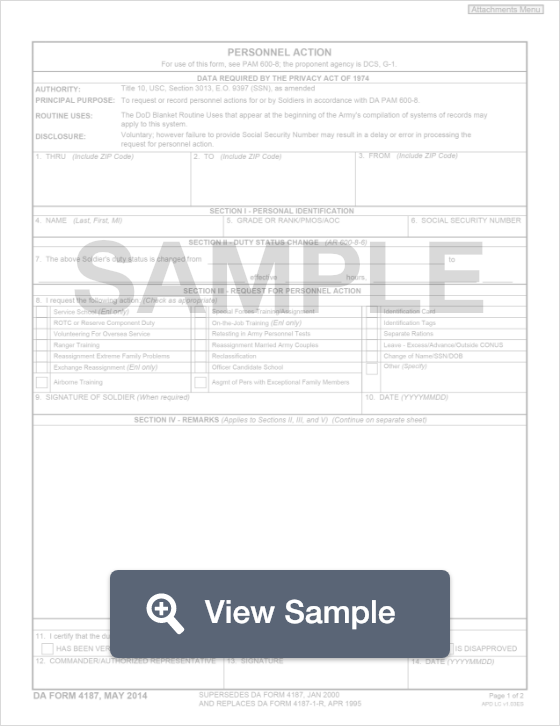 A fillable DA 4187 Form is used by US Army soldiers to request personnel action. Also known as a Personnel Action Form, the soldier completes the form to request additional training, reassignment, extra rations, and name changes. The soldier should sign and date this form after completing it before they turn it in for consideration. A DA Form 4187 will be used by the Department of the Army. This particular form is known as a Personnel Action form. It is used by a soldier who wants to request a personnel action on their own behalf. This could include training, reassignment, extra rations, name changes, and more. 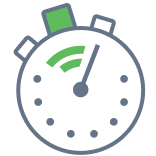 The more information you provide on the form, the faster your request will be proceed and the more likely it will be to get approved. Required information includes name, address, grade or rank, and social security number. The action being sought must be indicated, and the form should be signed and dated before it is submitted. Create a free Da Form 4187 in minutes with our professional document builder.